LANSING — Republican gubernatorial candidate Bill Schuette on Thursday voluntarily issued a financial disclosure statement showing personal assets totaling more than $13 million — largely investments held in blind trusts or property he inherited in the U.S. Virgin Islands and Colorado. The attorney general disclosed the value of homes, checking accounts, retirement accounts, blind trusts set up when he took office and other information. He recently received criticism from rival candidate Brian Calley, who revealed and raised questions about Schuette’s island holdings while saying he should fill out a disclosure form. Such disclosures are not required by state law. Schuette campaign senior strategist John Sellek said he had always intended to release one. The one-page document shows the value of investments and retirement accounts that are being kept “blind” to prevent any conflict of interests as attorney general. Schuette reported $6.5 million in the blind trusts. He also listed “non-blind” assets held by limited liability companies in which he has full or partial membership interest — including two St. John parcels for sale for $4 million total, a one-third interest in an inherited family home on St. John shared with his two sisters and a $211,000 half-interest in another inherited home in Colorado. Schuette’s late stepfather was chairman of Dow Chemical Co.
His statement shows a primary residence worth $688,000 in his hometown of Midland, a family cottage valued at $555,000 in northern Michigan and $323,000 in checking accounts. His 2017 income included a $112,000 salary as attorney general, nearly $46,000 from the legislative retirement pension system and income from interests, and other earnings of $365,000. Schuette also released a summary of his latest tax return, which he has done each year since taking office in 2011. “He thought it was important to take it a step further and release his financials as well,” Sellek said. 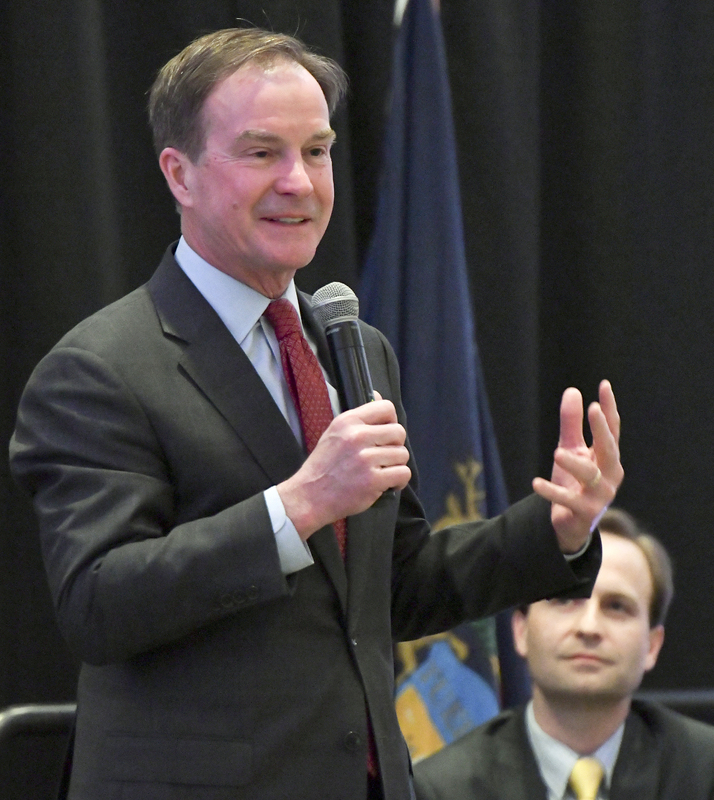 Schuette, like other gubernatorial candidates, has called for changing the law to require financial disclosures from candidates and officeholders. Calley, who has released his own financial disclosure, earlier this month accused Schuette of “hypocrisy” for not disclosing his finances and leading people to believe all of his assets were in a blind trust when the land was not. Schuette’s campaign said real estate is not included in blind trusts because sales are public and present no t of interest.